If you’re expecting a baby, whether they’re arriving via a typical pregnancy, surrogacy, or adoption, you’re sure to have a lot on your mind, not least of which is arranging the nursery. So, when do you get started and what do you need? You want to be prepared in the event your baby makes an early arrival, but first take a moment to plan out the space. 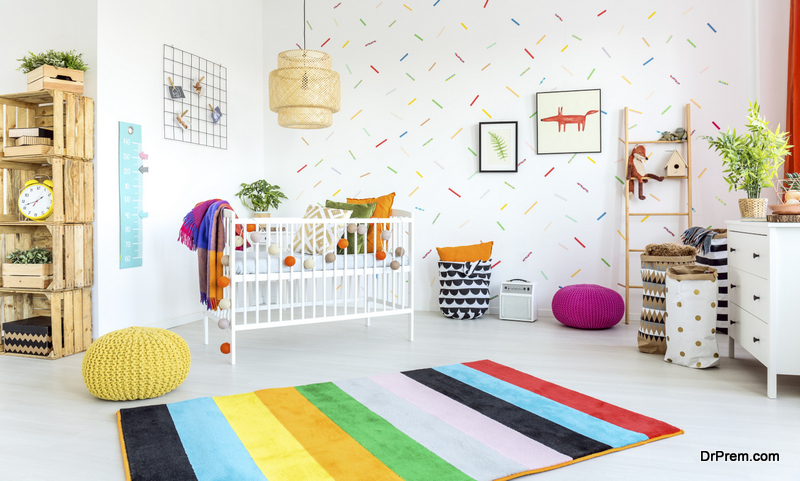 One of the primary reasons to pause before you start decorating the nursery is that, ideally, you want to choose a style that will grow with your child. Sure, cute, baby-centric themes are charming, but you’ll find yourself redecorating within a few years. If you choose a more neutral design, though, you can easily adapt the space as your child gets older and starts to express preferences about their room’s design. Additionally, if you plan to design a room with specifically feminine or masculine elements, you’ll need to wait until you have early genetic tests done or until the standard anatomy scan at 20 weeks. Another thing you should consider when planning the nursery is what furniture you need and what you can do without. 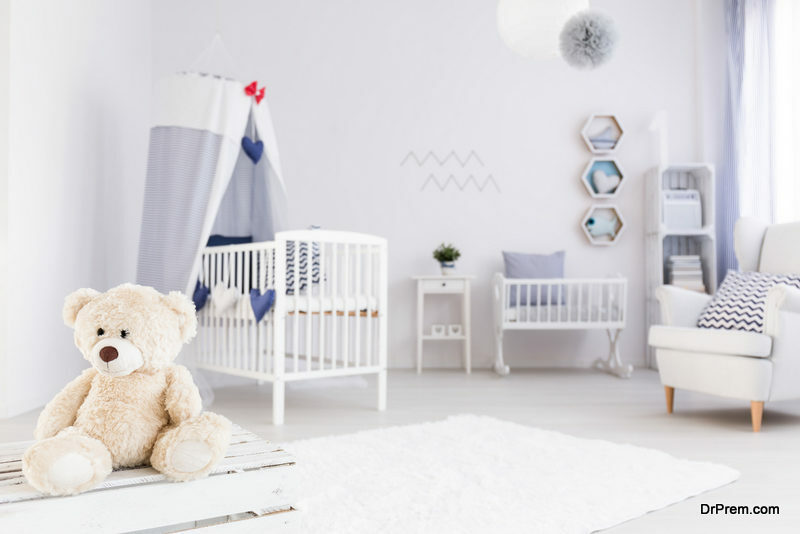 Obviously you’ll need a crib and changing table and you’ll want to get these items into your home by around 30 weeks and set up by about 35 weeks. Therefore, you aren’t scrambling to get such key pieces of furniture ready right before the baby is born. Other items you should consider for your nursery are a rocking chair or glider. Nevertheless, many people prefer a small couch or armchair because you’ll likely spend a lot of time asleep with a baby in your arms. You’ll also want plenty of storage for all the supplies that come with a baby. Of course, if you’re adopting a baby, your timeline may not be as clear as it would be for someone who is pregnant or expecting a child via surrogate. For families that are adopting an infant, it makes sense to begin outfitting the nursery as soon as you finish your home study. If, on the other hand, you’re expecting via surrogate, you can prepare based on these guidelines as the surrogacy timeline is similar to that of a typical pregnancy once your surrogate is confirmed to be pregnant. While you don’t need to have your nursery finished until about week 36, many of the preparatory steps should be finished much earlier. Specialty furniture, for example, should be ordered during weeks 21-23 to allow time for delivery and assembly, and painting should be done by week 25 so that the room has time to air out. Carpet should also be placed early because it typically needs to off gas, and it isn’t healthy for babies to breathe in those chemicals. Once you’ve painted and have all of your furniture, the final step is to ensure that the nursery is properly childproofed. This includes anchoring all shelves and dressers to the walls, securing any rugs so that they don’t bunch or cause people to trip, and install a smoke and carbon monoxide detector. You’ll also want to be sure that your window dressings don’t have any dangerous cords that could cause a child to choke and remove any pillows, bumpers, and thick blankets from the crib. These items are fine when you’re just decorating, but they can cause an infant to suffocate and should be removed before the baby comes home. Setting up your nursery can be very satisfying because your nesting instinct wants you to prepare for this big change. That being said, as your second trimester ends and the third begins, you will begin to feel more fatigued, and it will be harder to tackle these tasks. Keep that in mind and make sure you have family and friends on board to help you finish last-minute preparation. They’re sure to be just as excited as you are and eager to help welcome your new little one. Basketball 3-in-1 storing case: It’s deceptive, seemingly!